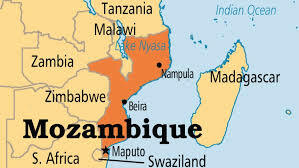 The United Nations Development Programme (UNDP) has approved a $6.3-million grant aimed at strengthening Mozambique’s health system and support implementation of grants made available by the Global Fund to Fight AIDS, Tuberculosis and Malaria. Permanent secretary of Mozambique’s Ministry of Health, Zacarias Zindoga signed the agreement on Monday together with acting UNDP resident representative Martin Maya. The assistance would focus on strengthening the management of the supply chain system for medicines and medical products and improve clinical care for patients with multi-resistant Tuberculosis. “Only healthy people can contribute significantly for the national sustainable development agenda” Zindoga said. Maya praised the Global Fund’s support granted to Mozambique over the last few years, which has allowed the continuation of programmes to combat HIV, AIDS, TB and Malaria. “UNDP is honoured to partner with the health ministry and is committed to support accelerated implementation of Global Fund grants,” Maya said. The three infectious diseases are the leading causes of death in the southeastern African country of 28 million people. HIV prevalence among Mozambicans aged 15-49 years is estimated at 16.2 percent, one the highest in the world.